Got back from Colombia a couple of days ago. Apparently tourism is now overtaking coffee in terms of importance to the national economy. And it shows - in the main the cities the number of Europeans and North Americans is noticeably higher. Quite a lot of these, unfortunately, seem to be there for the cheap beer more than anything else. But away from the obvious places, Bogota, Medellin, Cartagena, Colombia is still full of fresh, and sometimes challenging horizons for tourists. We spent some days in the delightful, faded, colonial town of Salamina. It’s quite a trek to get there, but the location, high, high up on the edge of a steep hill deep in the Caldas region is quite magical. The area has been free of the curse of armed rebels for less than 5 years, and local people are delighted see tourists. Especially as the average frequency at present seems to be about 2 per day in the town square. It will be interesting to see how things evolve when the coach loads turn up, if they do. Probably, and tragically, it will turn into a clone of Santa Fe de Antiquoia, which is well and truly on the Lonely Planet List and definitely worth missing. But the cities are still worth visiting, for the sheer vibrancy, the culture, and of course the coffee. 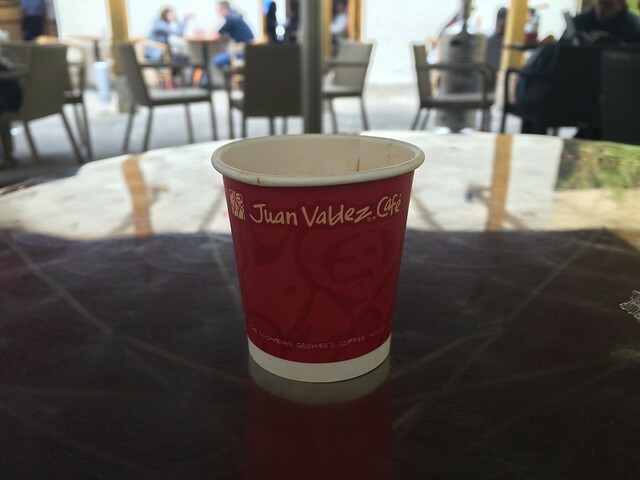 Starbucks has no chance of getting a foothold in Colombia, as the homegrown Juan Valdez chain has already, thankfully, grabbed the market. 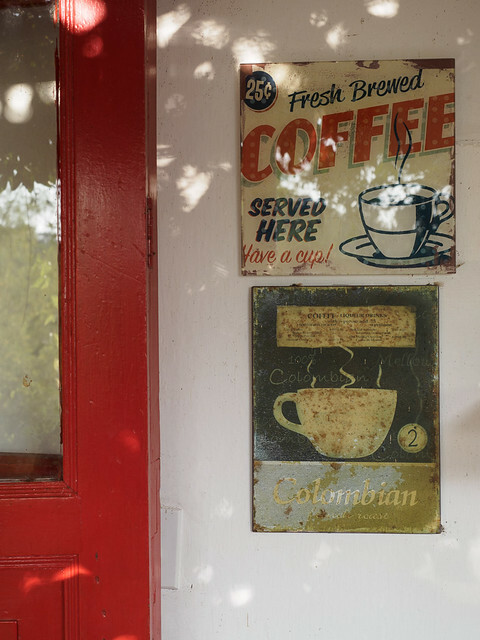 Colombia is a country that combines quality coffee production with coffee appreciation. 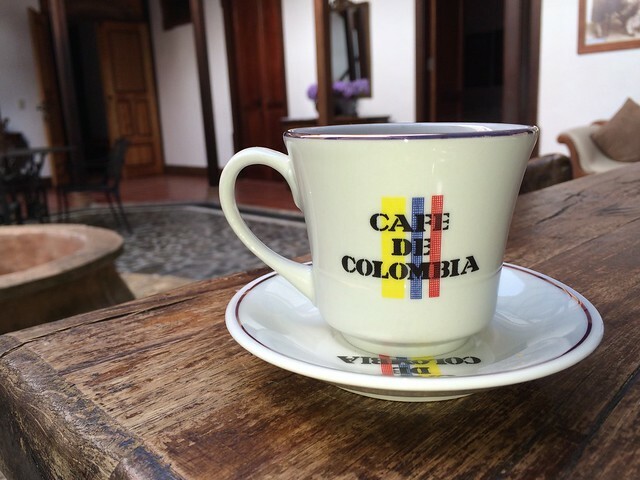 Unlike Costa Rica, say, where as far as I’ve seen you can’t get a decent cup of coffee (i.e something other than USA-variant hot brown water) for love nor money, despite Costa Rica producing excellent beans. 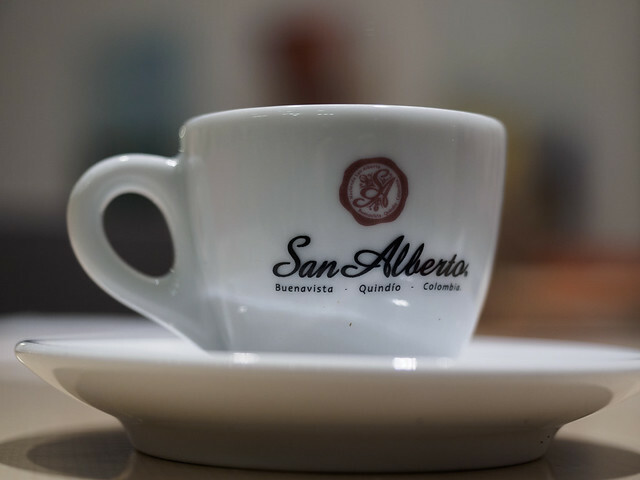 There’s a lot of competition, but possibly the best “café de origen”, or single crop coffee, that we’ve found is San Alberto, from Buenavista in Quindio. It is amazing. 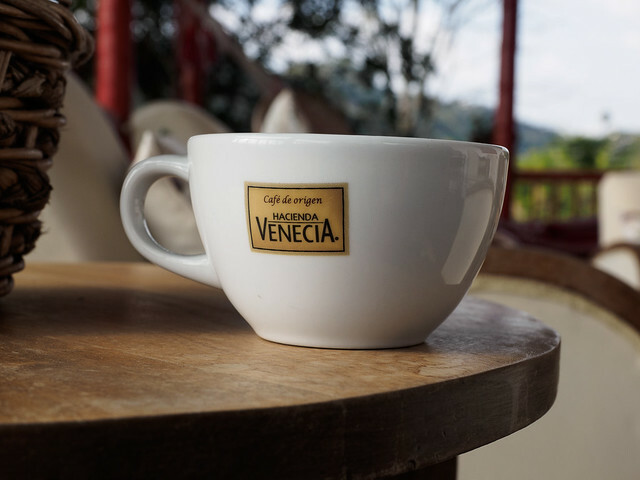 Hacienda Venecia, from a finca near Manizales, comes a close second. But there are many more to try. Oh, and photography ? Yes, I took a few snapshots of things other than coffee cups, which I suppose will show up here soon. Not sure for how much longer though. I’m really losing interest in broadcasting my wit and wisdom to the internet, and conversely, less and less interested in other people’s diatribes about photography. It’s becoming a more and more personal activity for me, and I’m fine with that. I’m happy with what I’m doing, and I really don’t need confirmation from anybody else that’s it’s any good or not - anyway it’s entirely irrelvant. Time and inertia will probably hold me back, but ideally I’d like to turn this website into a far more photo-centric thing, and probably less dynamic. We shall see. Meanwhile, coffee! 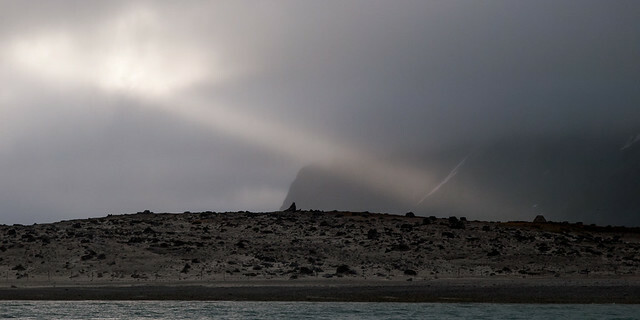 Five years ago, I was fortunate to be able to spend several weeks ago the Svalbard archipelago, mainly travelling around in a 12-berth yacht. This was a collective private charter, not a “workshop”, which made it just about affordable for me. A similar trip with the overhead of paying for several “educators” to come along for free would have been way more expensive and probably less fun. It was quite an experience, but photographically I haven’t really made much of it so far. The basic reason for this is that I took far, far too many photos. The total is over 5500, which is just ridiculous. The editing process just becomes impossible, mainly because of the bulk - when you have 20 near identical photos of the same collapsing iceberg, trying to choose the top pick is tedious, and when you have 300 such scenes, it gets completely overwhelming. But also, there’s a problem with focus. Not focus as in out of focus, which is a fairly common characteristic of my photography, but focus as in theme. Revisiting this collection after largely neglecting it for 5 years has helped me to realise this. 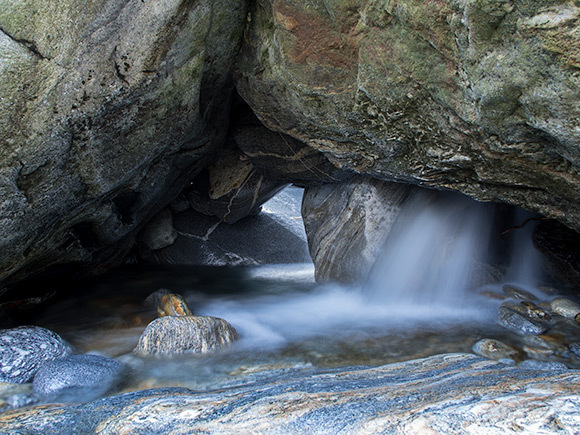 The impetus to revisiting it comes at least in part from the drastic disruption imposed on my move from Aperture, to CaptureOne, and finally to Lightroom. This move is not something I’d honestly call a good thing, but in the end, perhaps the resultant disruption will turn out to be an unexpected but very valuable side benefit. I’ve come to realise that the lack of a meaningful, coherent theme is actually quite common throughout my photography. For example, in this case I’ve always kept to the implicit assumption that “Svalbard” is a valid theme. But which Svalbard? That of misty, gloomy seascapes? Of ice cliffs? Of glaciers calving through mountains? Of arctic landscape? Of abandoned mining settlements, or active scientific settlements? Of wildlife - and then, of seals, or polar bears, or kittiwakes? The list could go on. In my first pass, I selected a sample of 16 photos drawn from all categories, which drew some nice comments, but they don’t really say much beyond “hey, look, I went to Svalbard. I’m so cool”. Vacation shots, basically. A second set drawn exclusively from the abandoned Russian settlement of Pyramiden was more meaningful to me, and hopefully more engaging. Having now revisited the whole set, I’ve been able to identify other themes and hopefully coherent sets, which obviously still document my experiences in Svalbard, but hopefully in a more mature way, which goes someway to communicating my reactions to the environments. I think this teaches me two lessons: first, the old adage that less is more is never more applicable than when applied to quantities of photos. And the second, even older, is to work out what I want to communicate before pressing the shutter button. Applying these two points might help to distinguish between vacation photography and some form of self-expression. Not that there’s anything wrong with vacation photography, but sometimes that doesn’t satisfy me. I’m not entirely sure yet how to present these new Svalbard sets. 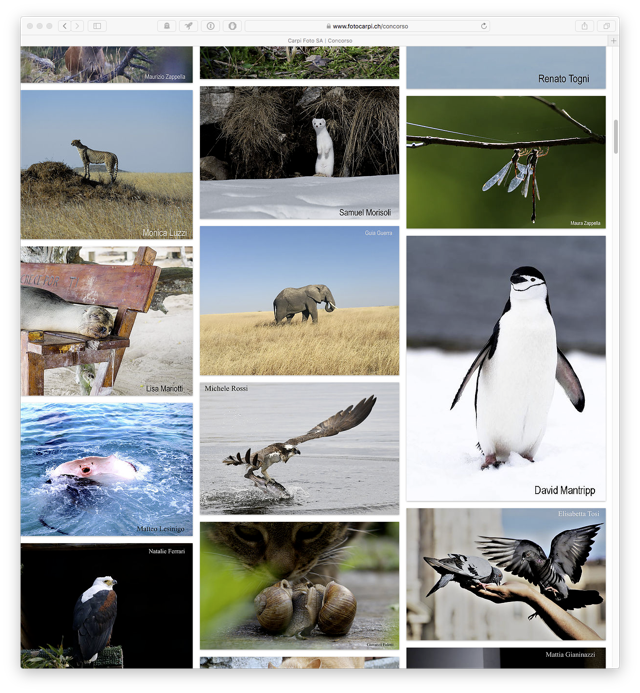 Some individual photos have leaked out on to Flickr, to see how they look “in the wild”. I expect some sets I will publish here, either in freeform blog post format, or as galleries. But the main thing I have in mind is a Blurb book. If I can do that to my satisfaction, then I think this new way of looking at my own photography will have drawn fruit. It’s been quite a while since I last posted anything here. I’ve neither had the time nor much motivation recently. Time, because of two weeks in Norway, taking my mother-in-law around the fjords for her 80th birthday, but also making a number of emergency trips to south west England to visit my mother, who is seriously ill. Motivation, because there wasn’t really that much I felt worth writing about. Life catches up with us sometimes. Anyway, on the plus side, I’ve got a batch of film & digital photos from Norway to go through. Fortunately my mother-in-law is, in her own way, a keen photographer, so the odd photo stop was not a problem. But the general restrictions on schedules and locations on such a trip did basically mean that anything more than a few steps from the care simply wasn’t photogenic. And the weather was frequently so awful that no amount of correct clothing could make it right for photography. As I mentioned in my last post, I recently bought a medium format film camera on eBay, a Voigtländer Bessa III, which does 6x6 and 6x7 formats. This was a bit of retail therapy, to be honest, but it has turned out to be a very good buy. It’s a delightful camera to use, it produces fantastic results, it’s incredibly light and compact for a medium format camera, and the fact that it looks like an antique, despite being ultra-modern under the skin, helps to make it look unthreatening in a “street” context. I’ll be publishing some photos from it soon. Hello. My name is David. I’m a cameraholic. The evidence is unforgiving. A list of the cameras I’ve bought since photography became my principal pastime makes for sobering reading, especially when set aside the productive output. This doesn’t include a couple of older, rescued film cameras, and several point & shoot digitals. And of course it doesn’t include the lenses, the tripods, the software, the books, the filters, the camera bags, the “workshops” and Lord knows what else. I’d probably have done better putting it all towards drink instead. I did actually sell a good deal of gear last year, with the idea of consolidating and buying something new (and improved, of course). But I kept bailing out of decisions. At present even the sight of a camera shop makes me feel nauseous and jaded in equal measures. Of course there is a huge list of new, improved, sensational, must-have, deeply desirable cameras, but actually I don’t desire any of them. I certainly don’t need them. Even if I did buy one, I don’t know what I’d do with it. My interest in adding to my archive of somewhere between 50 and 60000 photos is flatlining. This year, so far, I have spent precisely half an afternoon dedicated to photography. It was ok, but hardly essential. In the past I’d be climbing the walls through frustration and not getting out and photographing, now I’m just relieved to be past all that. The only camera that I’ve actually enjoyed using recently is the OM4Ti. What is glaringly obvious, at long last, and to me at least, is that gear absolutely does not increase quality of photos or enjoyment of photography. I can’t say that I’m no longer interested in photography - I wouldn’t be writing this if I were - but I’m not much interested in photographing. I’m dedicating some time to assembling the first of what might be a series of Blurb-published book, and it is quite interesting that the photos I’m selecting - on the basis of interest and coherence - tend to come from over five years ago, and from the more humble camera/lens combinations I’ve used. In a way that’s encouraging. Perhaps I’m a recovering cameraholic?